If anyone is in the Glasgow area, we’re proud to be affiliated with a new venue, the Garrioch Arms. 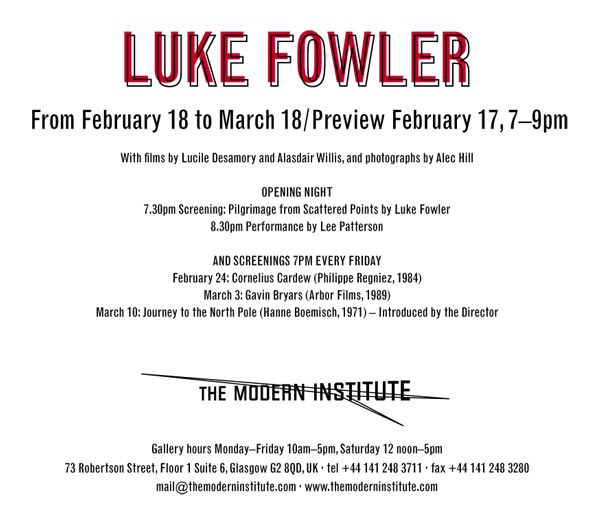 Also in Glasgow, Luke Fowler from Lied Music is debuting his new film on 17 February. 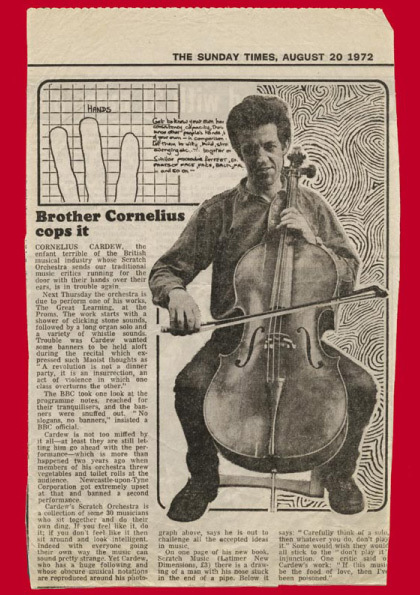 Pilgrimage From Scattered Points looks at the legacy of Cornelius Cardew and the Scratch Orchestra. Poster/info is below. In other news, there’s a flurry of live activity that we’re going to get up on the Live Dates section soon (with the promise to be more proactive about this in the future). This entry was posted on Thursday, February 9th, 2006 at 5:41 pm	and is filed under . You can follow any responses to this entry through the RSS 2.0 feed. Both comments and pings are currently closed.